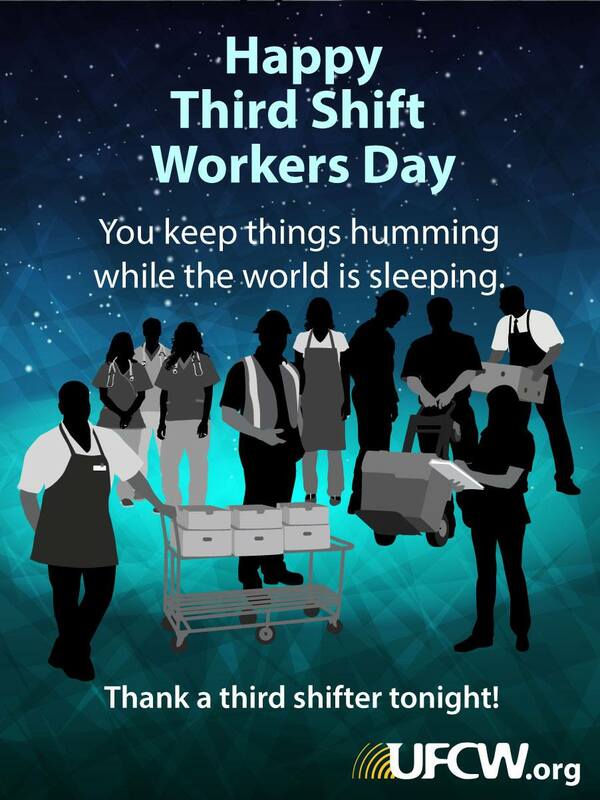 Have you thanked a third shift worker? From stocking shelves to providing late-night medical care, when the rest of the world goes to sleep, many UFCW members’ work days are just getting started. Last year on National Third Shift Workers Day (celebrated on the second Wednesday in May), to recognize the hard work and sacrifice made by those who work overnight to keep our communities running smoothly, International President Marc Perrone surprised several UFCW Local 2008 members at Kroger in Little Rock, Arkansas, with a late night visit in honor of National Third Shift Workers Day. 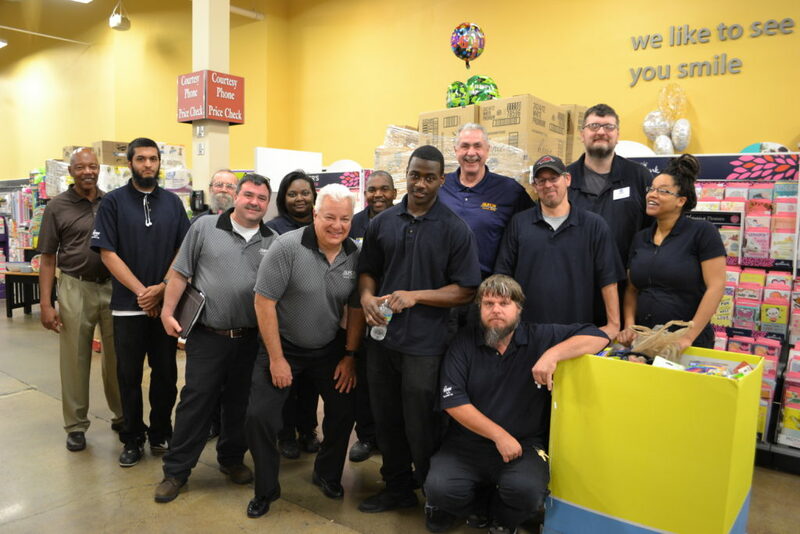 UFCW International President Marc Perrone and Steve T. Gelios, president of UFCW Local 2008, with UFCW Local 2008 third shift workers at a Little Rock, Arkansas, Kroger. Mark Ramos, president of UFCW Local 1428 in California, was also burning the midnight oil and visiting stores overnight to personally thank the hard-working men and women of the third shift for all they do. Ramos preferred to work third shift because the predictable schedule and hours let him take care of his kids and spend more time with his family during the day. The same applies for many of the members he spoke with during his visits. According to multiple studies, shift work is hard on both the body and mind. The risk of workplace injuries, obesity and depression are all increased if a person works overnight. Studies also suggest that third shift work impacts hormones that regulate blood sugar and insulin levels, which in turn lead to a higher risk of serious health conditions, like heart disease and diabetes. Despite these risks, there is no federal law requiring third shift workers to be provided with any extra pay or benefits. But in UFCW contracts all across the country, we negotiate premium pay for third shift workers to help provide them with the better life they’ve earned and deserve.